Many law enforcement agencies across the world are now using VSA technologie because it is easier to use than a polygraph and is less expensive. 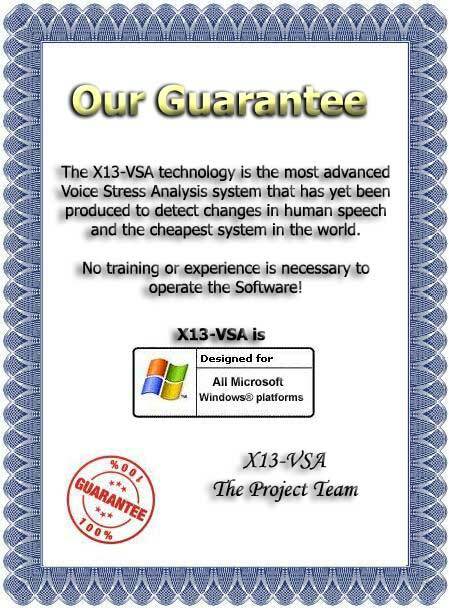 X13-VSA PRO Cobra technology is a scientific measure that law enforcement use as a tool to tell when someone is lying and it has a 98 percent success rate. The voice stress analyzer X13-VSA (VSA) is sufficient to prove both validity and reliability.